Before you know it, summer break will be upon us all. Start making your plans now like enjoying the weekend at the lake, relaxing on the Bestway CoolerZ Blue Caribbean Island. When the days get real warm, it's nice to cool off in the water but no need to get out of the water just to get a cold drink. Swim up to the island's swim-up platform, grab a drink from the built-in cooler, relax in one of the seats, then put your drink down in the built-in cup holder. 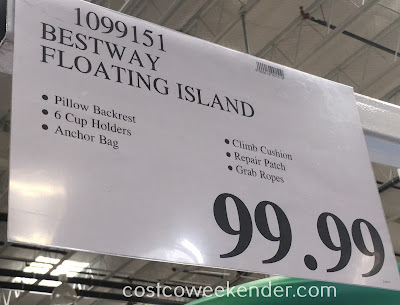 Since the Bestway CoolerZ Blue Caribbean Island is big enough to accommodate several adults, you can just lounge around with some friends, relaxing and watching as time passes by, no care in the world. 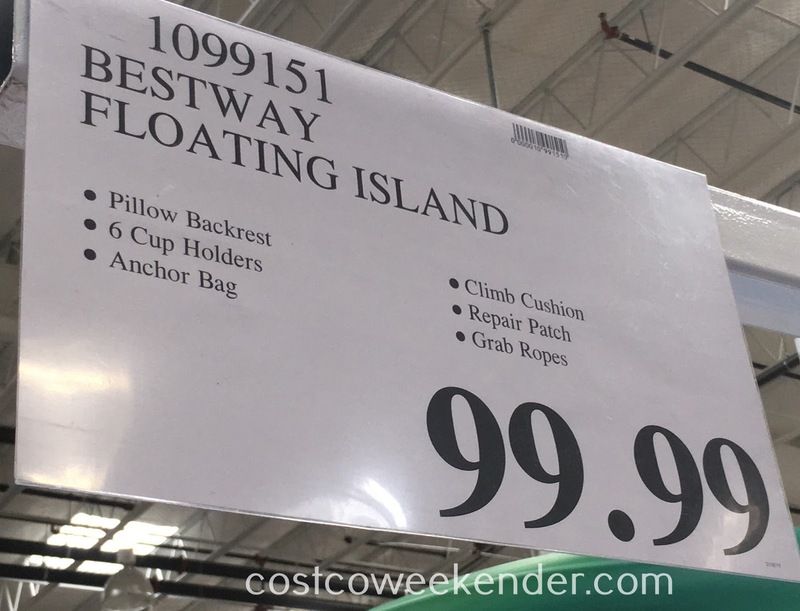 You won't regret buying this Bestway CoolerZ floating island. Better yet, you and your friends will enjoy the memories, the fun and the relaxation. 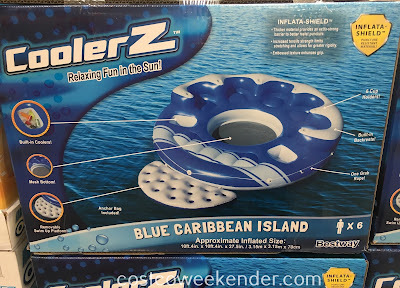 Bestway CoolerZ Blue Caribbean Island - Summer fun has never been better! Bestway CoolerZ Blue Caribbean Island: Relaxing fun in the Sun!